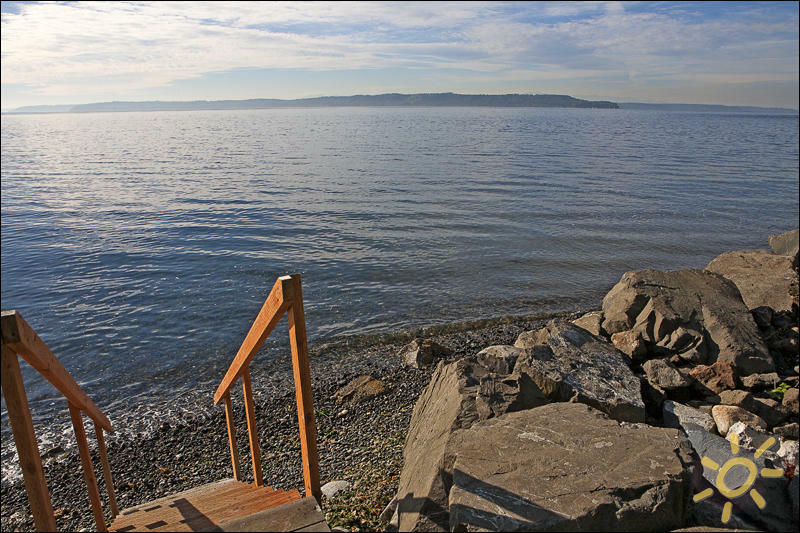 This Puget Sound Villa is one of a kind. 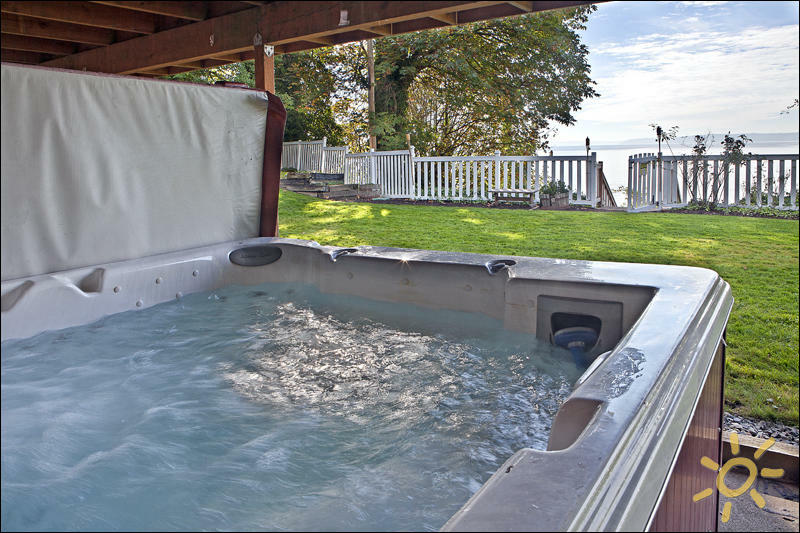 Sleeping up to 12 guests, the Villa also offers a full acre of privacy, hot tub, waterfront, sandy/stone beach and wide views across majestic Puget Sound. 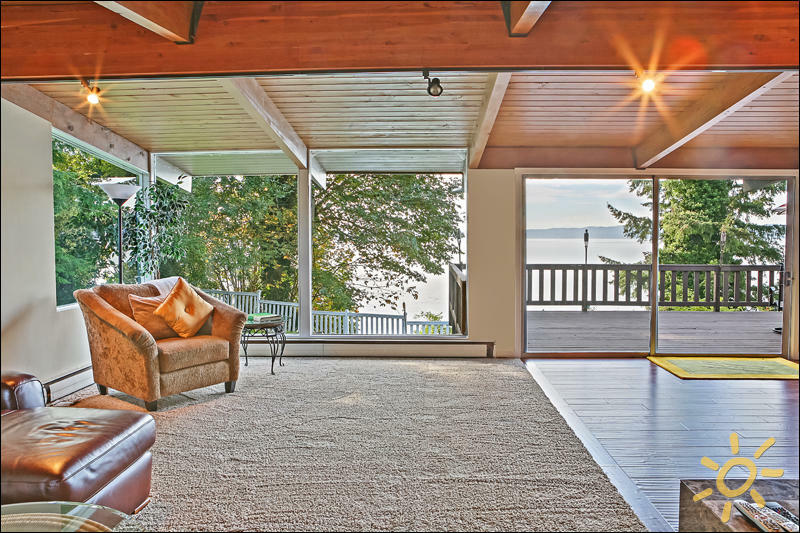 The home has a large deck with a beautiful breathtaking view and a naturally lit interior. The interior includes floor to ceiling windows, three fireplaces, and large flat screen televisions. The Villa's backyard faces directly out to Puget Sound and includes a wide and very well tended yard and gardens. It is big enough for badminton or other yard games and private from neighbors. In the yeard, you will find stairs to another small lawn area directly on the beach. A built in charcoal BBQ pit ensures you wont have to climb stairs to eat. At high tide the water laps directly below the lower yard and at low tide you can walk the stony sand beach in either direction. There is nothing more soothing than a day on this beach. For great fun during low tide, walk the beach to the Redondo Beach boardwalk and pier - a sun filled pleasant stroll. Visit the Marine Science's aquarium open every Saturday middays. The beach is flat enough that you can bring your boat and anchor directly off shore. Passengers can jump aboard without wetting their toes. 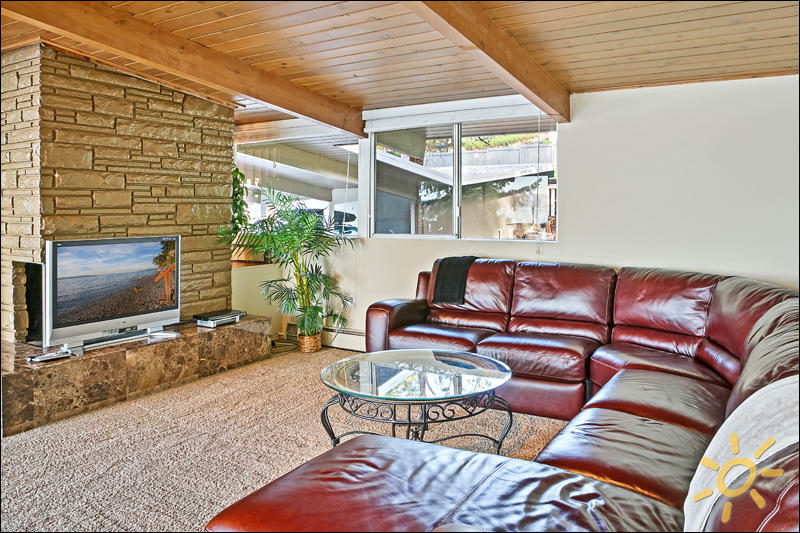 Each Bedroom in Puget Sound Villa boasts quality comfortable beds, luxury linens and amenities. The bathrooms are modern, the towels large and fluffy, amenities are well stocked and like the rest of the home, bathrooms are always hospitality clean. There is parking for up to four cars, two of which can fit under cover. Access from main streets is easy, as you drive down the wide drive and directly to the home. With advance permission, you are able to host lunch or dinner get-togethers of up to 20 people.